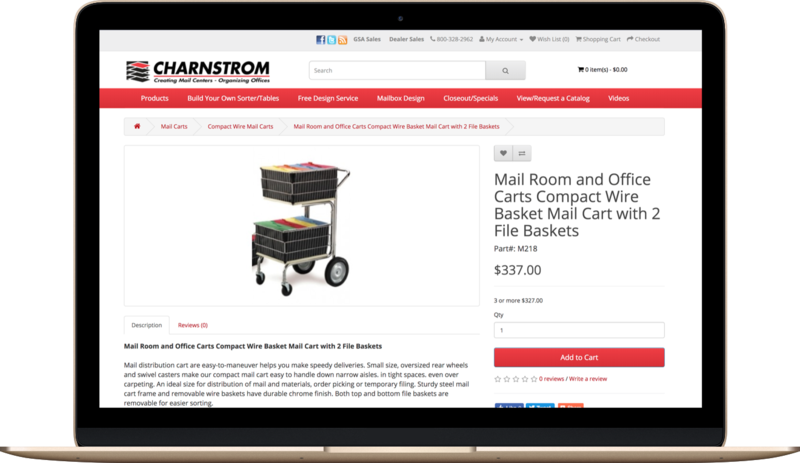 As a very well-known provider of mailroom solutions, Charnstrom has a strong stream of branded traffic, and people in the industry know who they are. We helped them decrease cost per conversion on Paid Digital Ads and significantly increase the return on investment from these ads. Charnstrom was having to outbid partners for their brand terms and they were getting into something of a bidding war for their products. Ultimately a Charnstrom product was being sold either way, but the feeling was that competition should take place to keep revenue on-site if possible. Creating PPC campaigns around specific product offerings like mail bags or mail carts was not cost-effective, and finding keywords that consistently generated conversions was incredibly difficult. The client approached us and said, “We want to spend more money, what should we do?” We were ready to find answers. It’s not often that we are the one’s being pushed to innovate, but it’s fun when that happens. We began changing the bid strategy for brand terms and drastically reduced their costs for these keywords without seeing a drop in revenue. This freed up money for additional testing in other areas. 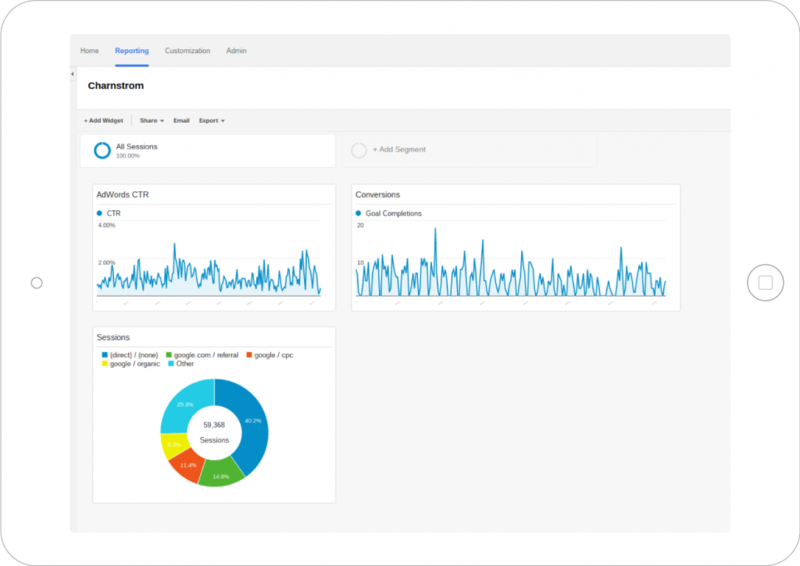 A steady stream of keywords started getting added to their AdWords account. Once keywords reached a point where they weren’t efficient, they would be removed and replaced with relevant keywords. Remarketing campaigns were added to get non-converting traffic back to their website, and our design team created some beautiful display ads to run in Google. To this day, we are still testing additional opportunities because we love this client. By reducing cost for brand term acquisition, we left them open to a new world of possibilities and couldn’t be happier to continue testing for them. If your advertising isn’t efficient, find out what we can do to help.